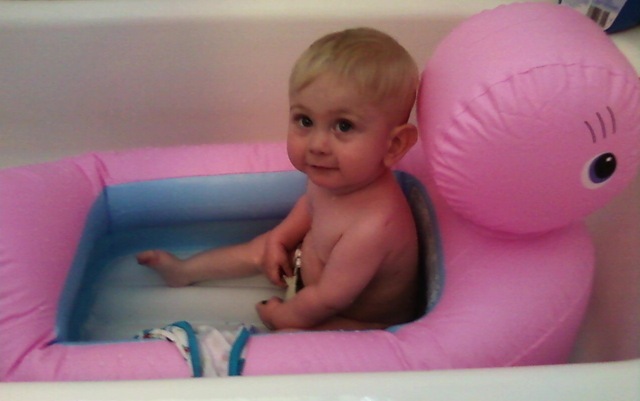 Finally…Riley sitting up in the Big Boy Bath….ok it’s in his PINK ducky, but he loves it!! So yesterday was Riley’s sedated echo. It was pretty much as I thought it would be. We already know the one vein needs intervention, and that two others looked mildly obstructed on last echo. Dr. Szwast said it was difficult to see all four veins on this echo. I thought that was crazy. Why sedate him if you cant see the veins anyway?? She explained what I already knew. When Dr. Spray connected Riley’s pulmonary veins at his first open heart surgery, 4/8/08, he connected them to where they would stretch to in Riley’s atrium. That being said….the veins kinda look like their all intertwined, making them hard to see clearly on an echo. 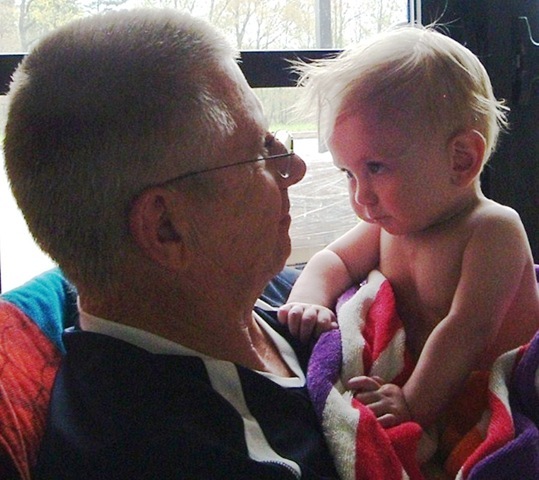 I had already figured that Riley would be scheduled for a Cardiac Cath., and he was…June 1st. This way Dr. Rome can balloon the one stent, and look at the others and see if they need intervention. I can already predict that Dr. Rome will most likely balloon at least three veins/stents. I won’t be surprised if he says he ballooned all four. Things always look worse when seen in the Cath lab then they do on echo. I do have all the faith that Riley will come through this Cath without any problems, even after intervention! I’m just ready for some cooperation from his veins already. The obstruction/ scar tissue/ narrowing needs to let up. Having said that…..Dr. Szwast also spoke to the transplant team again. 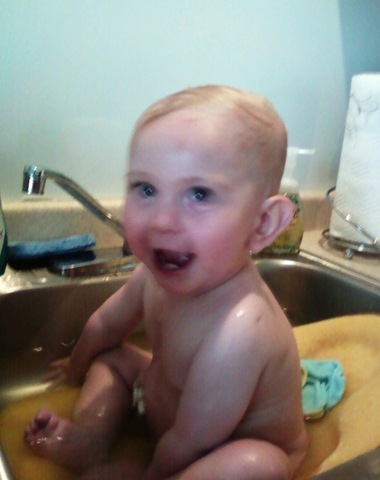 They have said no, again, to the idea of Riley being listed for a transplant. 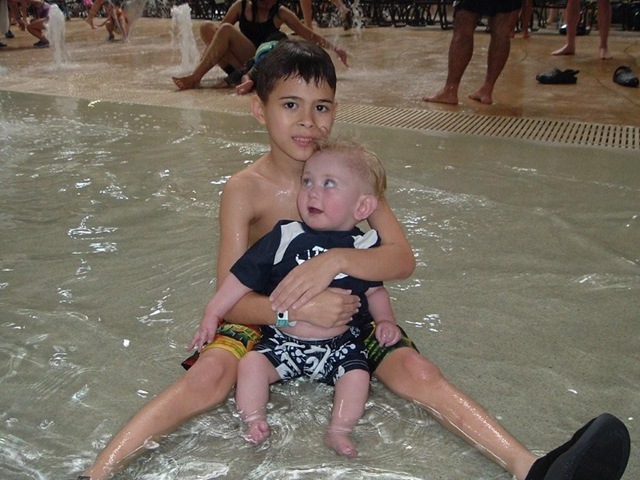 Reason….giving Riley a new heart, at this time, will not fix or help his biggest problem…his pulmonary veins. If anything it could compound the issue with his veins. She said that Riley’s heart is functioning right now. Even though it continues to thicken its still pumping well….at this time. Sooo…we will continue down the path we’re on. Monitoring the veins and ballooning the stents if necessary. The hope is that the progression of the narrowing will slow down, and maybe even eventually stop. PRAY FOR THAT! If we can get that to happen then we could change our focus to Riley’s heart itself. Fix it, and give him a chance at life! I know that may sound crazy, but it’s reality! Just PRAY PLEASE!! Ok…on another note….we are changing Riley’s feed again. Hoping to help his reflux. It’s horrible….wakes him up all night. It’s alot of gagging…..can’t tell you how helpless you feel. Anyway…hopefully the formula will improve his refluxing. If it doesn’t then we may revisit doing the Nissan. Pretty much tying off the top of the stomach so he doesn’t reflux. We decided not to do it back in January when he had the Ladds and gtube placed with the hope that the reflux would improve. It seemed to, briefly, but we’ve seemed to now have gone backwards. Soo..we’ll see. 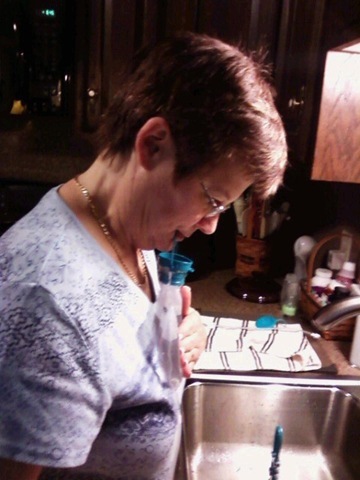 Change the formula…..which should happen tomorrow…do the Cath….then see how the reflux is doing. If it’s like it is now, today, then we will most likely lean towards doing the Nissan in the summer. Again…PRAY! It is another surgery, and Riley just doesn’t need another surgery. Well…I think that’s all for now….until later…..keep praying! Thank you….Thank you….Thank you to everyone who was a part of the Smile 4 Riley Benefit!! To all the women on the committee…Joey, Michelle, Julia, Karalyn, Jackie, Pat, Mary Kay, Chris, Kathy. All of you did a fantastic job organizing the benefit. Kathy…thank you for the beautiful cake! The desserts were a hit! Terry thank you for putting together the pictures! They came out great, and now we can have them to treasure forever. Julia…thank you for running the kitchen. Everything ran smoothly! The thank you’s could continue forever!!! Every woman on the committee did an awesome job!! I do, though, have to thank my parents! Thank you for opening your home to this group of women, and all of the stuff that came along with the planning of the benefit! Once again proving how great you truly are! Ok..one more….Thank You to my sister, Chris for well…..EVERYTHING!! 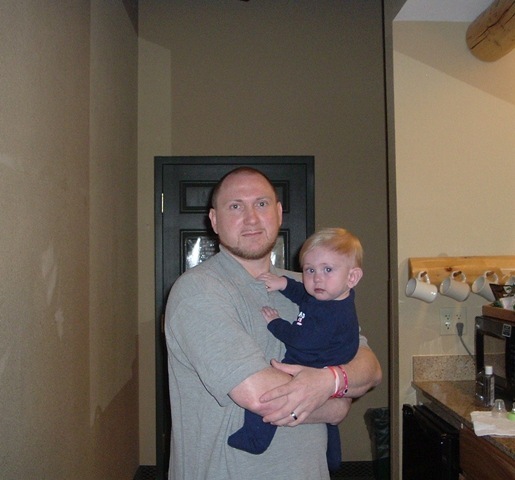 Thank you for starting up and heading the benefit committee…thank you for caring so much for Riley and our family that you truly stretched yourself to your limit. In the end……you did a wonderful thing for our family and I will be eternally grateful!! I would have never thought, 20 years ago, that you would turn out to be such a great big sister! I Love You! Ok…I lied….Thank you to everyone who helped….Katy, Susan, Dennis, Dad, Lou, Danielle, Andy. All the volunteers!! Everyone who donated baskets or things for the baskets. Wait….Thank you Rebecca McClain for all you did! Thank you for the beautiful jewelry you made for the auction, and for your donation. 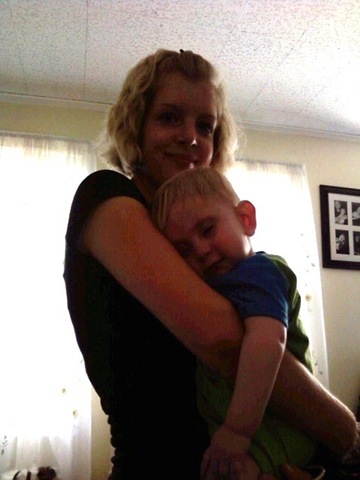 Also…thank you for that great Mother’s Day email! I Loved It!! Everyone who came to the benefit! Thank you for supporting Riley and our family! The love is greatly felt! Now….our journey continues. Wednesday Riley has a sedated echo. We already know there is obstruction in the veins. Now we need to see its progression. Riley will most likely end being scheduled for a Cardiac Cath to balloon the stents again. If he is not…..then that would be great. It would mean the progression is slowing. Unfortunately, though, I think he will be having a cath….since we already know of obstruction. Bottom line…..pray! Riley’s whole life depends on these veins. We need a break! He needs a heart!! If the veins keep narrowing so quickly it won’t happen! So please….pray! Thank you again to EVERYONE!!! I hope I didn’t miss anyone or not thank anyone accordingly! How do you possibly thank parents as wonderful as mine for what they did last wkend? 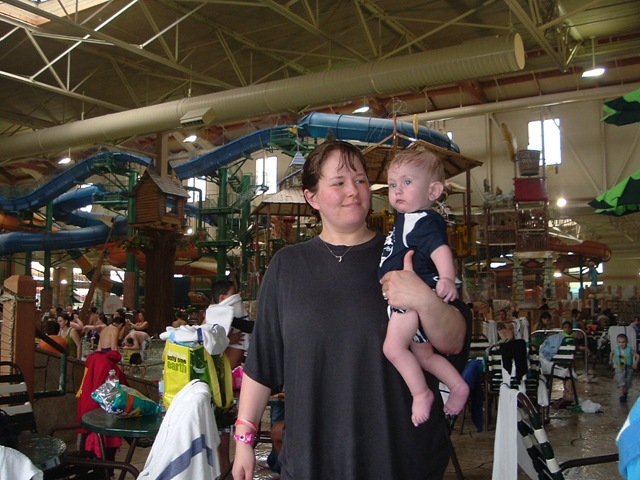 Well….I figure I can start by putting it on Riley’s blog for the whole world to see!! 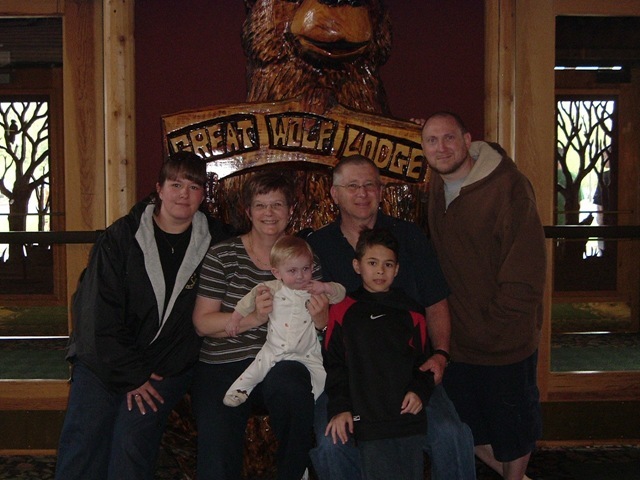 Last wkend my parents took us to Great Wolf Lodge in the Poconos. It was awesome! If you have never been there…look it up online, and you’ll see for yourself! Thank you sooooo much for a fantastic wkend with the family! 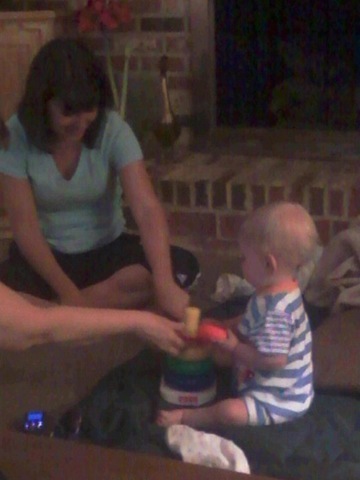 Granny lovin’ Riley! The family! !